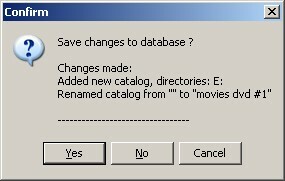 The first time you create a database the program automatically offers to add the first catalog. To append catalogs to an existing database right click in the treeview area that lists the catalogs, and select "Insert new catalog". You can also add catalogs by pressing the "Add catalog" link-button above the "Database search" button. You can have unlimited catalogs in each database. Each catalog also retains the initial search parameters. 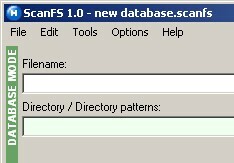 To search in databases you fill the search criteria, and press the "Search database". 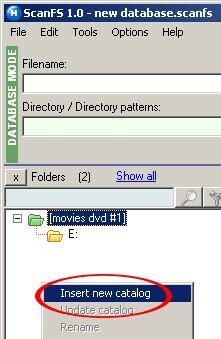 By closing a database, you return to the "Disk search" mode. with the "Convert to catalog" command. You can update or refresh a catalog you performed at some point in the past by using the "Update catalog" command, in the treeview context menu. of all changes that have been performed, so that you can decide whether you want to save or discard these changes.